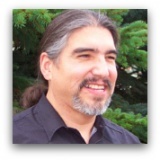 Ray is a member of the Swan River Cree Nation, Alberta, Canada. 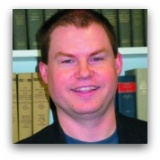 Ray is Assistant Professor of Theology at Ambrose Seminary, part of Ambrose College in Calgary. He also continues to work with My People International to develop indigenous leadership. He is former Director for the First Nations Alliance Churches of Canada where he worked to encourage pastors ministering to aboriginal people. Ray's passion is to help as many as possible hear the gospel in their heart language. He received a Bachelor of Theology Degree from Canadian Bible College and his Master of Divinity Degree from the Canadian Theological Seminary (now Ambrose Seminary ). He is currently enrolled in a PhD program at the London School of Theology and the Asbury Theological Seminary. Ray and his wife, Elaine, are involved in ministry to couples and have helped facilitate support groups for people who have suffered abuse. Ray and Elaine have four children, Jenny, a school teacher in Richmond, British Columbia, Canada; Raymond, a university student pursuing a Bachelor of Arts with a major in Philosophy; Catherine, who is attending Columbia Bible College in British Columbia, Canada; and Rueben who is a derrick hand and relief driller in the Oilfield. 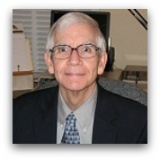 Ray is ordained with the Christian and Missionary Alliance in Canada. Dr. John R. Franke is professor of missional theology at Yellowstone Theological Institute in Bozeman, MT and general coordinator for The Gospel and Our Culture Network in North America. He holds the DPhil degree from the University of Oxford and is particularly interested in engaging postmodern thought and culture from the perspective of missional Christian faith. He has spoken on the relationships between the gospel, theology, mission, and culture throughout the U.S. and around the world. He is the author of numerous articles and reviews as well as several books including Beyond Foundationalism: Shaping Theology in a Postmodern Context (Westminster John Knox), The Character of Theology: An Introduction to its Nature, Task, and Purpose (Baker Academic), Barth for Armchair Theologians (Westminster John Knox), and Manifold Witness: The Plurality of Truth (Abingdon). His most recent book, Missional Theology: Reforming Christianity for the Sake of the World is forthcoming from Baker Academic. Dr. Catherine Keller is Professor of Constructive Theology at the Theological School of Drew University. In her teaching, lecturing and writing, she develops the relational potential of a theology of becoming. Her books reconfigure ancient symbols of divinity for the sake of a planetary conviviality—a life together, across vast webs of difference. Thriving in the interplay of ecological and gender politics, of process cosmology, poststructuralist philosophy and religious pluralism, her work is both deconstructive and constructive in strategy. She is currently finishing Cloud of the Impossible: Theological Entanglements, which explores the relation of mystical unknowing, material indeterminacy and ontological interdependence. Dr. Richard King studied Philosophy and Theology at Hull University, before completing his PhD in Religious Studies at Lancaster University in 1993. He was Lecturer and then Reader in Religious Studies at the University of Stirling from 1990 to 2000 before becoming Professor and Chair of the Religious Studies department at Derby University in 2000. He joined the University of Glasgow in 2010, after five years as Professor of Religious Studies at Vanderbilt University in Nashville, Tennessee. He has been a visiting professor and guest lecturer at Liverpool Hope and Cambridge Universities, and has delivered public lectures at universities in Europe and the USA. From 2007-09 Professor King served on the advisory committee to the Guggenheim Museum in New York for “The Third Mind” - a major exhibition exploring Asian philosophical influences on modern American art and also as co-chair of the Cultural History for the Study of Religion group for the American Academy of Religion. Dr. Liew is most interested and invested in transdisciplinary study of the New Testament. Alongside New Testament studies, his scholarly interests include literary theory, postcolonial studies, gender/sexuality studies, and ethnic studies (particularly Asian American history and literature). 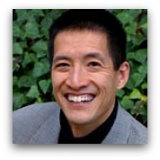 Dr. Liew is the author of What Is Asian American Biblical Hermeneutics? Reading the New Testament (2008), and Politics of Parousia: Reading Mark Inter(con)textually (1999). He also edited Reading Ideologies: Essays on the Bible and Interpretation In Honor of Mary Ann Tolbert (2011), Postcolonial Interventions: Essays in Honor of R. S. Sugirtharajah (2009), They Were All Together in One Place? Toward Minority Biblical Criticism with Randall Bailey and Fernando Segovia (2009), and the last issue of the journal, Semeia, with Gale Yee on "The Bible in Asian America" (2002). Dr. Liew also serves on several international editorial boards, and is currently the editor of the journal, Biblical Interpretation. 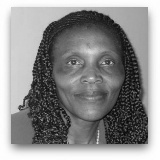 Dr. Esther Mombo is a Lecturer at St. Paul's University in Limuru, Kenya. Until recently she held significant leadership posts at the university and had a significant role in growing the university from a small, local seminary. Dr. Mombo is a frequent advisor and speaker throughout the Anglican Communion. Her publications may be found here. Dr. Mombo was the scholar organizer for the May 2014 Postcolonial Networks meeting at St. Paul's University. She and Joseph Wandera, another faculty member will co-edit the collection of papers from the meeting. A native of Ireland, Dr. Stephen D. Moore received a PhD in New Testament from the University of Dublin (Trinity College) in 1986. He subsequently taught at Trinity, and also at Yale Divinity School, Wichita State University, and the University of Sheffield before coming to Drew in 1999. His research centers on the interface of biblical studies and other contiguous fields, especially literary studies, cultural studies, gender studies, queer studies, postcolonial studies, and ecological studies. 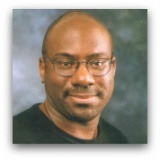 Dr. Anthony Reddie has written over 50 essays and articles on Christian Education and Black theology in Britain. He is the author and editor of 13 books. His more recent titles include Dramatizing Theologies (Equinox, 2006), Black Theology in Transatlantic Dialogue (Palgrave Macmillan, 2006), Postcolonial Black British Theology (co-edited with Michael Jagessar – Epworth, 2007) and Black Theology in Britain: A Reader (co-edited with Michael N. Jagessar – Equinox, Sept. 2007), Working Against The Grain: Black Theology in the 21st Century (Equinox, 2008), Is God Colour Blind? : Insights from Black Theology for Christian Ministry (SPCK, c.2009) and Black Theology, Slavery, and Contemporary Christianity (Edited – Ashgate, 2010). His forthcoming books include The SCM Guide to Black Theology, c.2011. Anthony is the editor of Black Theology: An International Journal. 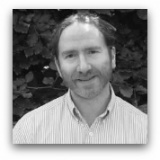 He is also the co-editor of the ‘Cross Cultural Theologies’ book series for Equinox. Dr. Margaret Robinson is a bisexual Mi’kmaq scholar from Nova Scotia. She is passionate about First Nations postcolonial work, indigenous feminism, and LGBTQ liberation. Her approach is feminist, intersectional and interdisciplinary. She currently holds a postdoctoral fellowship from the Canadian Institute of Health Research, where she is exploring the health needs of two-spirited people. Her health interests include bisexual and trans equity, the social etiology of mental illness, the social construction of substance use, and sexual identity development. A long-time bisexual activist, Margaret has co-chaired the Toronto Dyke March, worked as facilitator and community organizer with Bisexual Women of Toronto and the Toronto Bisexual Network, and served as programming and financial director of the 9th International Conference on Bisexuality. She holds a PhD in theology from the University of St. Michael’s College in Toronto. Her dissertation focussed on the experience of bisexual women in monogamous and polyamorous relationships. Margaret lectures at the Centre for Addiction and Mental Health, co-teaching the qualitative research module of the International Research Capacity-Building Program for Health-Related Professionals to Study the Drug Phenomenon in Latin America and the Caribbean. Dr. Fernando F. Segovia joined the Divinity School faculty in 1984. Professor Segovia's teaching and research encompass Early Christian Origins, Theological Studies, and Cultural Studies. As a biblical critic, his interests include: Johannine Studies; method and theory; ideological criticism; the history of the discipline and its construction of early Christian antiquity. 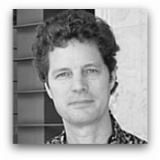 As a theologian, his interests include: non-Western Christian theologies, especially from Latin American and the Caribbean; and minority Christian theologies in the West, especially from U.S. Hispanic Americans.As a cultural critic, his interests include: postcolonial studies; minority studies; Diaspora studies. Professor Segovia has served on the editorial boards of a variety of academic journals, has worked as consultant for foundations and publishing houses, and has lectured widely both nationally and internationally. He is also a past president of the Academy of Catholic Hispanic Theologians in the United States. 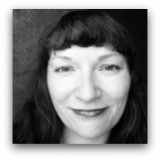 Dr. Andrea Smith received her Ph.D. in History of Consciousness at UC Santa Cruz in 2002. Previously, she taught in the Program in American Culture at the University of Michigan. Her publications include: Native Americans and the Christian Right: The Gendered Politics of Unlikely Alliances and Conquest: Sexual Violence and American Indian Genocide. She is also the editor of The Revolution Will Not Be Funded: Beyond the Nonprofit Industrial Complex, and co-editor of The Color of Violence, The Incite! Anthology. She currently serves as the U.S. Coordinator for the Ecumenical Association of Third World Theologians, and she is a co-founder of Incite! Women of Color Against Violence. She recently completed a report for the United Nations on Indigenous Peoples and Boarding Schools. 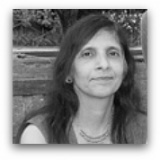 Dr. Gauri Viswanathan is Class of 1933 Professor in the Humanities at Columbia University. She has published widely on education, religion, and culture; nineteenth-century British and colonial cultural studies; and the history of modern disciplines. 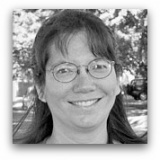 Her most recent article is “Secularism in the Framework of Heterodoxy” published in PMLA (2008). She is the author of Masks of Conquest: Literary Study and British Rule in India (Columbia, 1989; Oxford, 1998) and Outside the Fold: Conversion, Modernity, and Belief (Princeton, 1998), which won the Harry Levin Prize awarded by the American Comparative Literature Association, the James Russell Lowell Prize awarded by the Modern Language Association of America, and the Ananda K. Coomaraswamy Prize awarded by the Association for Asian Studies. She is also the editor of Power, Politics, and Culture: Interviews with Edward W. Said (Vintage, 2001), as well as a special issue of ARIEL: A Review of English Literature (2000) on “Institutionalizing English Studies: The Postcolonial/Postindependence Challenge.” Prof. Viswanathan’s current work is on modern occultism and the writing of alternative religious histories. She has held numerous visiting chairs, among them the Beckman Professorship at Berkeley, and was most recently an affiliated fellow at the American Academy in Rome. 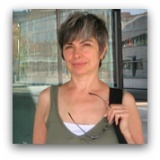 She has received Guggenheim, NEH, and Mellon fellowships, and was a fellow at various international research institutes. 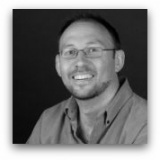 Dr. Gerald West is Head of the School of Theology at the University of Natal in Pietermartizburg, South Africa. He received his Master's and Ph.D. from Sheffield University in Sheffield, England. He is author of Biblical Hermeneutics of Liberation: Modes of Reading the Bible in the South African Context (New York: Maryknoll 1995, and Cluster Publications, 1995), The Academy of the Poor: Toward a Dialogical Reading of the Bible (Sheffield: Sheffield Academic Press, 1999), and was co-editor of The Bible in Africa: Transactions, Trends, and Trajectories, (Leiden: E.J. Brill, 2000).